Sweeping views of beautiful Pirates Cove. Enjoy watching the Manatees swim from the brick patio. This home is full of character with wide planked wood floors and a terrific layout. Gorgeous kitchen with breakfast room on the water too. Family room with fireplace, built ins and beautiful wood paneling. Florida room with multiple French doors opening to the outdoor space. Living room with fireplace and wet bar too. Enjoy having your dinner parties in the waterfront dining room and watching the sunsets. 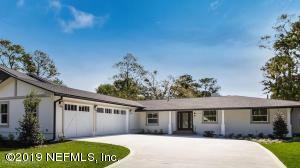 The 4 bedrooms all have their own beautiful updated bathroom and 2 powder baths too. 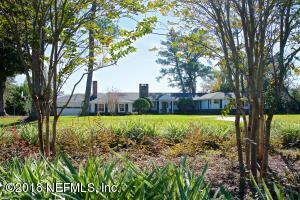 Come see this magnificent house with an amazing large private yard. Buyer to verify all measurements. 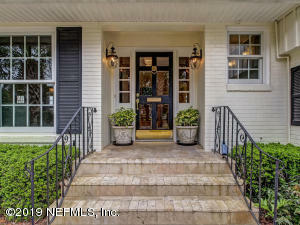 Exquisitely renovated waterfront home in Jacksonville's MOST desirable neighborhood. 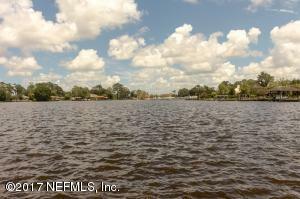 Walking distance to the Florida Yacht Club. Designed for the modern lifestyle. Brand new kitchen features stunning Carrara Thassos quartz counter tops, glass induction cooktop, double ovens, soft close drawers, wine cooler, stainless appliances & extra large prep island perfect for entertaining. Split floor plan with 2 master suites, open living space, large laundry room & oversize 3 car garage. 13,000 lb boat lift, dock & party platform for 25 ft + boat. 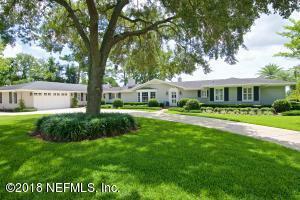 Fenced backyard, newly re-marcited pool & paver deck for outdoor entertaining at its best. Lot has been raised & house floor previously on slab was raised 2.5 ft. Elevation certificate available.